I have a five-year old nephew. His name is Hugo and he is a-ma-zing. The other day I picked him up from school for some special uncle-nephew time. It was a Friday and he was staying with me for the night. I told him we could do anything he wanted, and I expected him to shout “Let’s go swimming!” “Let’s have ice cream!” “Let’s go to the zoo!” I’m used to kids shouting out ideas and building on that energy. To my surprise, Hugo said “I need to think about it. Can I tell you when we get home?” I was taken aback. Hugo’s response and Kendi’s gentle nudge, opened my eyes. I’m a musician, an extrovert and I love thinking and working out loud. I forget not everybody around me does. Kendi’s nudge … Hugo’s pauses … The universe was teaching me something. Great learning happens at the liminal zone between comfort and discomfort, so our job is to take people to the edge of their comfort zone and help them explore new territory. This the space that business simulations, like Corporate Snakes and Career Ladders, occupy. We use simulations, play and scenarios to explore some of the key challenges faced by functional specialists working in HR, legal and communication. We make it real by getting participants to walk in my shoes for a bit. Or Carmen’s or Lloyd’s. We also develop scenarios based on real-life events that happen in companies big and small. This makes our sessions realistic, improving the learning potential. Besides, it’s more fun this way. And, as some of you know, I earned my PhD proving the link between having fun and improving learning outcomes. (If you’re interested, this article is a good place to start). Hugo reminded me that it requires more than game-playing to help people develop new skills. To help embed the learning, we must mix active play with theory and self-reflection. I think too much teaching caters for extroverts. Teachers and facilitators think they are doing a good thing by building in Q&As or group discussions or syndicate work. While these are often a welcome break from “talk and chalk”, we must recognise that some people prefer thinking time and a chance to reflect quietly, process what they have learned, and reflect it back later. So I’m working with Carmen to ensure our programme design allows people to get the most from their time with us. An excellent starting point to understand the power of introverts is Susan Cain’s work Quiet Revolution. I find her free resources very useful. When we got home, Hugo told me that on Saturday he wanted to go swimming and then for ice cream… and… could we set aside some time for him to finish his drawings? Of course he got what he wanted and we had a great day. Back to work the next Monday, Kendi and I decided to roll out an “Inclusive meeting protocol” and agreed we would try to reshape my weekly standing meetings in which I ask people to shout out solutions. I realise now this accidentally gives more air time to extroverts. Now we post the questions a day before so those wanting time to reflect are comfortable too. And when it comes to playing Corporate Snakes and Career Ladders, we have introduced some quiet time so that participants who prefer to reflect are comfortable. We also have an online voting system, so extroverts aren’t over-rewarded for yelping the answer first and loudest. We’re still learning and trying new ideas. If you work in people and organisational learning, we’d love to hear ideas on how to cater for introverts. In the meantime, be sure to check out our public events where you can have a taste of our game and maybe even meet me. Yesterday, inspired by a session at #EMENAcomm, I shared my tips on how to say no. Once the conference ended, I was invited to dinner with some of the speakers. Over drinks and lovely Indian food at the Maharaja restaurant, the subject of saying no and negotiating your time came up again. So these two articles are an attempt to share what I’ve learned and maybe sparking so culinary adventures in my readers. • main courses, or slightly more robust sophisticated ways to say no. How do you say ‘no’ without annoying your customer or stakeholder (internal or external)? How do you manage your time effectively so that you are focusing on the right things, at the right time, for the right result? For those who want a bit extra, I’ve pulled together a couple of advanced tactics. They come with a warning: Don’t eat too often from this part of the menu! These are more controversial and slightly riskier. Let them ask for the output but you define how it is to be generated. Produce the analysis in a way that is convenient for you. You can do this under the guise of ‘Normal’ above. What happens if you just say ‘no”? Will we end up in court? Will our most valued employees leave? Will part of our organization fail to achieve its objectives? Will part of our strategy miss the mark? Will you get fired? Think about the consequences … you might be surprised at how small they are. Sometimes the problem will go away. I find this a lot with emails when I am on holiday or on a site visit. Sometimes, when I get back the issue has resolved itself, or the person managed without whatever it was that was oh-so urgent. Of course, this tactic doesn’t always work: sometimes they will come back and chase you … in which case you need to switch tactics (“so sorry I never got back to you! mea culpa”). Like I said, these are more controversial so use them with care. Remember to go back to your personal stakeholder map so you ensure you have enough reputation points in the bank to take a risky gamble. And remember, practice makes perfect so try out these techniques in low-risk situations too. So you feel at ease with each course of the meal, and maybe you can even whip up a dessert of your own. Simulations and role-playing are a perfect way to flex your negotiation muscles. When you play Corporate Snakes and Career Ladders, you get to put yourself in my shoes and learn how I say no to Buck, Isobel and Marua from time to time. So consider joining us for a game. Do you have any other strategies? Please do share! The menu of how to say no, first course. My time is precious. So is my team’s. We work hard to focus on the right things. This week I have invested two days spending time with fellow communication leaders at the IABC EMENAComm. It was convenient travelling back from Dubai, to stop and recharge my batteries while spending time with old and new friends. Today at lunch, I had a long chat with Laila -a young marketing director-who is being pulled in different directions and needs to set boundaries. Now, I am listening to the fascinating story by Hanisha Lalwani. Her courageous story has inspired me. I know how that feels. As the Communications Function, we are strategic advisers and get a lot of requests to help others. Marua Kobayashi, our COO, is frequently popping by wanting advice or support for her latest initiative. How do you say ‘no’ without annoying your customer or stakeholder (internal or external)? How do you manage your time effectively so that you are focusing on the right things, at the right time, for the right result? Here is my menu of tips for saying no to people so that you can keep control of your agenda. These tactics sometimes work for me. I don’t use all of them in all situations. You will like some better than others, so feel free to pick and choose. I leave you with the appetisers and the main course, and will go back to my session. The desserts will come tomorrow. They are little things which are easy to do and generally won’t get you into trouble. Disappear. People can’t interrupt you if they can’t find you. Find a quiet room somewhere. Lock yourself away. Turn off email. Do what you need to do and then re-engage. Delay. Say “yes, but not now”. You are the middle of something. You are about to have meeting. You have a phone call you need to make in five minutes. You are travelling. “Of course I will do it for you, but it will have to be later / tomorrow / next week, etc.” Remember the old maxim: “a lack of planning on their part does not constitute an emergency on your part”. These are slightly more complex items which move slightly beyond the immediate tactical request and your instant response. Stakeholder analysis. How important is this request or this person to you? Do you have lots of reputation points in the bank with them already, or do you need to strengthen the relationship? Strategy connection. Ask questions about the business need, which elements of our strategy this supports, what is the wider context. Why is this request important? SPIN. This stands for “Situation, Problem, Implication, Need.” What is the situation or context? What’s the problem they are trying to solve? What’s the implication of the problem and what is the need? This is a sales technique which enables you to open up the conversation and explore the underlying need… and maybe, find a simpler solution that saves you time, energy and resources. Desserts are more controversial so I will share them with you as part 2 of this menu (you can follow me here if you wan to be sure not to miss it). Those are my tips, my menu, but what are your tips for saying no and managing your time? Are they appetizers, main courses, or desserts? As Hanisha invites us to do: ‘says yes to talk about saying no’. In-person matters more than ever. CEOs are not getting the data — or advice — they want. Practicing analytical thinking and complex problem solving is mission critical. Here are some quick ideas focused on this for the year ahead. It is a mix of conferences – which can help you learn and connect with your peers – as well as things you can do anytime (podcasts and blogs). First of all, are you too distracted? Are you clear about your role? You might want to revisit this brief post on etymology in the boardroom from earlier. Analytical thinking is essential – but it can also equal cognitive overload and analysis paralysis. In HR we wish people wouldn’t forget that a skill like this is best maintained through regular, careful practice. I know you enjoyed the menu of how to say no – so I thought this discussion on the same topic might also be of interest. And of course: regular sessions of Snakes & Ladders. 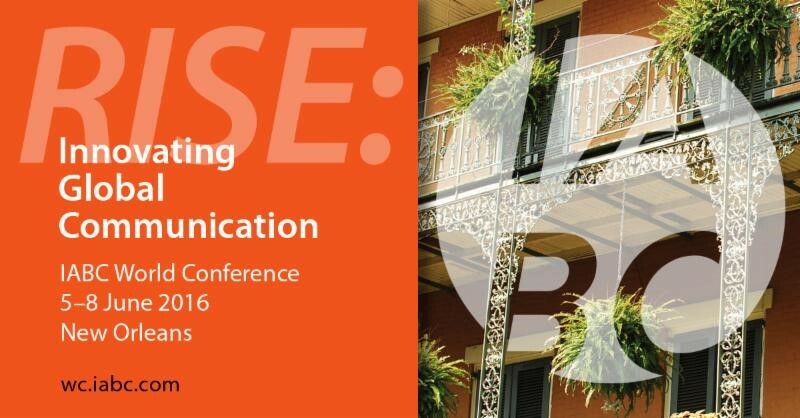 You could for example come along to the pre-conference session we’re running for #PRSAConnect. And as a warm-up, don’t forget we have a whole collection of interviews where your peers share what they’ve learnt playing the game. At -10°C, queuing for the shuttle that will take me from the conference centre to the Digital Technologies of Tomorrow reception, I am surrounded by my peers. These are people like me: educated, powerful, enabled, with a certain commitment to bettering the world. And yet … This year some voices are missing. No Macron, no Trump … But the key issues we are here to solve remain: climate change, gender equality, income inequality. This make me wonder, does Davos still matter? Is it still worth me trekking to Klosters in the late January snow? Should I just send Carmen or Buck next year? The world might be obsessed by digital, but in-person matters more than ever. The big consulting firms bring lots of data to WEF. One example is Accenture, who asserts that trust in digital has eroded. And they have a set of recommendations for rebuilding it. I’m struck by how digitally focused their recommendations are nevertheless – especially as they’re bringing these to a face-to-face event. So whilst I agree with the diagnosis, I’d extend the proposed remedy by saying: focus on bringing your people together more. This why I make time to get my team in the same room. To discuss, plan and review scenarios and to learn from different perspectives. You should too. PwC launched their 22nd annual CEO survey. I remember being interviewed for this, and wondering what the results would be. One of the most interesting charts in the report visualised the gap between data considered critical for decision making – versus comprehensiveness of the data currently received. Part of this links to whether CEOs perceive their staff to have the right skills. In an age that is sometimes called the gig economy, I was encouraged to see that my fellow CEOs still invest in training and retraining. I encourage you to move team development from the “nice to have” to the “absolutely must” column of your to do list. The insights above combined with the earlier WEF Future of Jobs report all point to the need for opportunities to practice analytical thinking and complex problem solving. Preferably in-person. To that end I’ve asked my colleague Hugh Mann to draw up some ideas for conferences to attend in 2019. You should think about the same for your own development. Right … The shuttle is here … Got to go. I don’t want to get stuck next to the Zuck at dinner … he always tries to practice his terrible Mandarin on me.